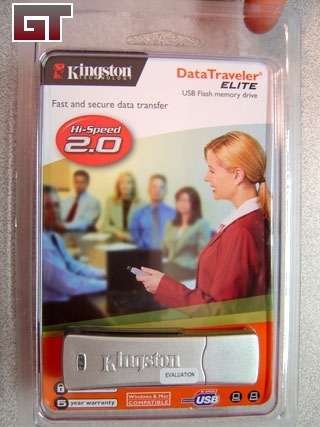 Today we have the DataTraveler Elite 512MB USB Flash drive from Kingston. Sporting USB 2.0 support and some rather nifty security features, this may well be the last USB drive you will ever need. 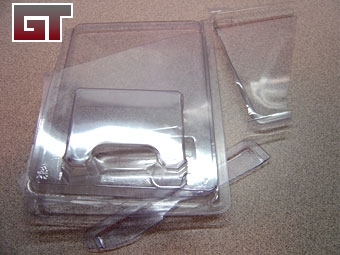 The drive comes in a sturdy plastic housing that looks easy enough to open, but looks can be deceiving. 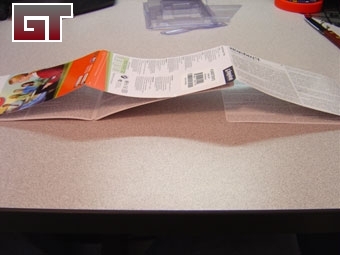 Now I know that companies have to protect their products during shipping and what not, but I think that consumers should not have to come up with a battle plan, razor sharp knife, and lots of determination to open these things. After going through 3 or 4 knives and different plans, you will probably have something leftover that looks like this. 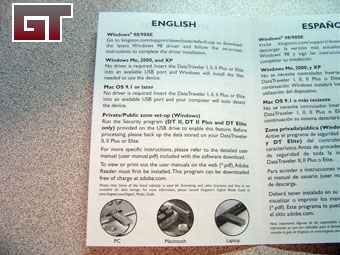 Inside the plastic, the paper inside folds out to reveal the warranty and technical support information in 7 different languages. The information is pretty basic, including the RMA details should you ever need to do so. 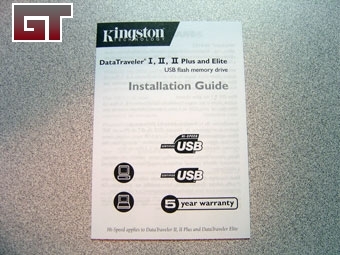 Also included is an Installation Guide that covers the very basics of setting up the drive. As you can see, there really is not much there. It basically just tells you which OSes are compatible and which are not. 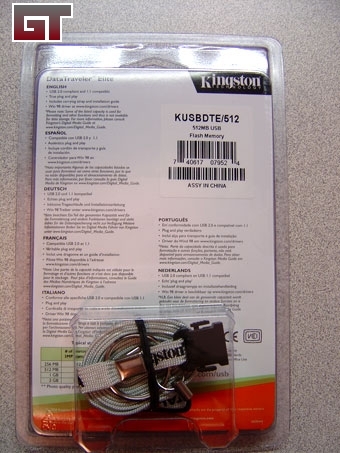 All the really useful information is contained in PDF format on the drive or with the software download from Kingston.